On a conference call today Sage announced that they would rebrand their Sage 100c product as Sage 100cloud effective March 7, 2018. This move was explained as more of a marketing change. At least initially, the internal features and benefits of Sage 100cloud will be identical to Sage 100c. Think of Sage 100cloud as Sage’s way of more directly explaining that in the future they expect to have Sage 100cloud utilize more cloud connections. Sage 100 Cloud is the product formerly known as Sage 100c. It is optimized for a hosted cloud although you can also run the program locally within your own office. As an extension of the product formerly referred to as Sage 100c, Sage 100 Cloud offers all the same unique benefits which were included with Sage 100c. The pricing of Sage 100 Cloud is also based on a subscription with minimal up-front costs. While Sage 100c will run as a hosted application in a cloud environment, it is important to note that the hosting portion is an optional added cost. Sage first launched Sage 100c in November 2015. Initially, the primary difference between Sage 100 and Sage 100c was that Sage 100c would be sold under a subscription license with less of a hefty up-front cost. What Is Unique To Sage 100cloud? As development continues on Sage 100 Cloud we expect the the bulk of new features will be created on that platform. We also expect increased integration capabilities from Sage Business Cloud. How Can I Host Sage 100cloud? Sage 100 Cloud will run locally or you may host it run a private or public cloud environment. The choice of a host is completely up to you. There are few limitations on what integrations may be used in the Sage 100 Cloud hosted environment. As an example, users of Sage 100 Cloud who wish to access the software in the cloud may select from plans ranging from $65/mo per user to $139/mo per user. The Sage 100 Cloud hosting includes all maintenance, update and upgrade for every version of Sage 100. Data backup, recovery and redundancy is also included with each Sage 100 Cloud hosting plan. Third-party applications from popular ISVS such as Starship, Scanco, Scanforce, MAPADOC, Highjump, Biznet and more will all work seamlessly when hosted in the Sage 100 Cloud. Cloud hosting for Sage 100 is most popular with users having multiple remote offices or lacking adequate IT coverage to service their accounting software. Sage 100 Payroll 2018: A Payroll tax update is in process. If you’ve updated to the latest Sage 100 2018 Payroll – also referred to as Sage Payroll 2.0 – and you are receiving a message “A Payroll tax update is in process. Please try again in a few minutes” when you open payroll, here is the fix. Note: Always create a backup copy of any file which you are modifying with utilities. Use of Sage file utilities can cause issues if the steps are not followed. Consult with your Sage partner prior to attempting this. Over the past few weeks, numerous users and consultants have wrestled with an annoying issue with disappearing data files. This primarily occurred with payroll and seemed to be present in all versions of Sage 100 – including Sage 100c. 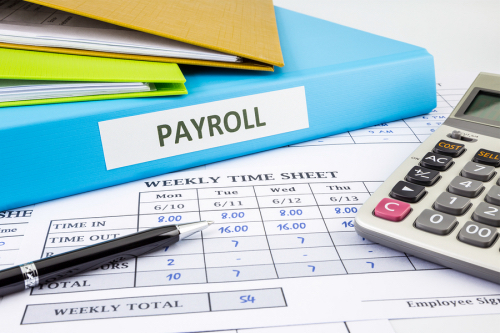 In many cases, users would notice that payroll data files like PR9, PRB, PRI, PRJ, PRK, PRL, etc. are missing when printing Payroll registers or checks. An Error 12 PRWUAA 8825 would also sometimes appear while running payroll tax calculation. This primarily affects users of Payroll but may affect any Legacy module data entry file. Other messages may include Work Order data entry files are missing, Job Cost data entry files are missing, Time Card data entry files are missing, etc. Legacy versions of Sage 100 (formerly Sage MAS 90 or 200) may also experience issues in other modules. The behavior that we have been able to address is that for Sage 100 Standard users in some environments, after applying specific Windows Security Updates (KB4051034 and KB4054518) customers are having problems with those files. The KB articles with the Program Fixes are 88508 (2018.1), 88509 (2017.1 – 2017.3), 88510 (2016.1 – 2016.5), and 88511 (2015 and prior). We have also heard that Webroot is removing those files, even if the Sage 100 program and “MAS 90” and “PRXXX” directories are excluded. Unfortunately, in the case of Webroot the only solution we have at this time is to remove Webroot and use another product. To resolve this issue, navigate to the appropriate Sage KB article and apply the fix. If you are using Webroot Anti-Virus you should consider removing it and using a different brand of AV. Note: Do NOT go without anti-virus, rather you should use a different brand that won’t interfere with Sage. For the latest in Sage 100 and Sage 100c news and technical tips – please subscribe to our Sage 100 email newsletter. Sage released an updated Supported Platform Matrix for their Sage 100 versions 2017 and 2016. These documents outline the supported workstation and network operating system configurations officially supported by Sage. There has been no updated document for versions prior to 2016 which confirms my belief that Sage is now effectively supporting the current and one prior version through active product updates and critical support documents such as the Supported Platform Matrix (SPM). Download a revised copy of the Sage 100 Supported Platforms Matrix for v2016 or v2017 from here.